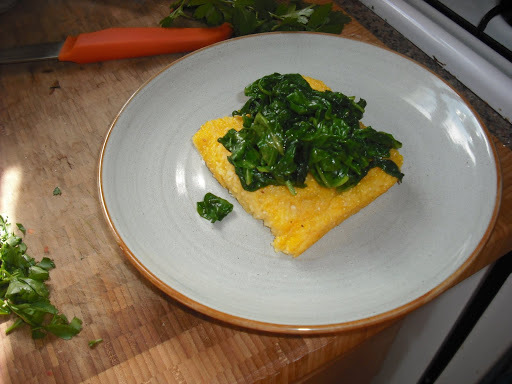 Start the grits or polenta (corn meal). 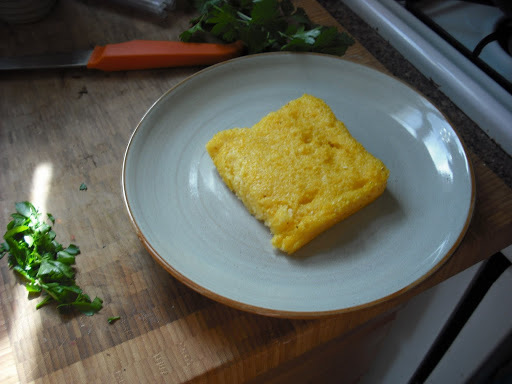 If I’m making polenta, I like to use a little milk for creamier version. 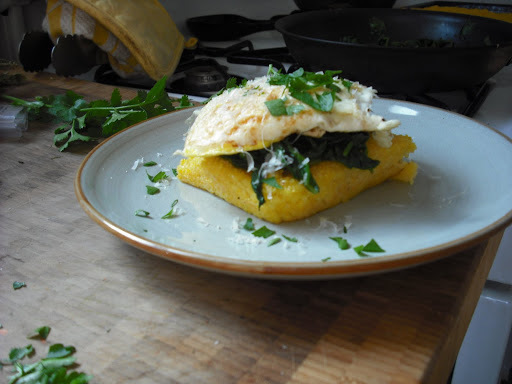 Grits and polenta should be cooked in a 4:1 ratio, with lots of salt. 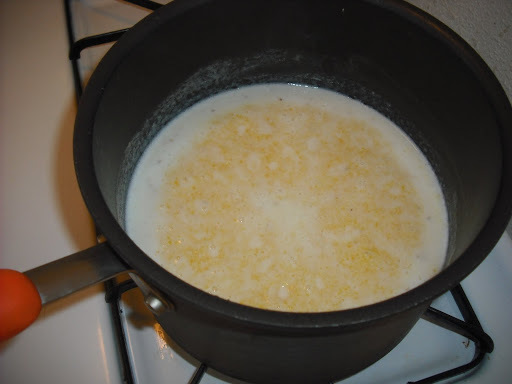 I usually start the water/stock/milk mixture over high heat and generously season with salt. Turn the heat down to simmer and stir grits. 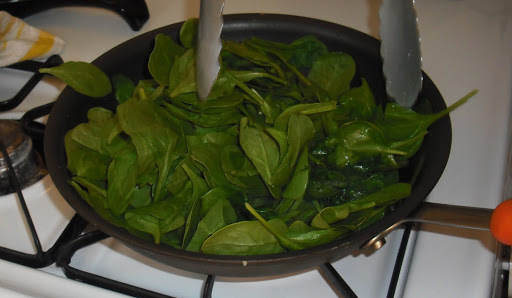 While the grits cook, lightly saute a little garlic and toss a couple handfuls of spinach and wilt the greens. Once the grits become fairly firm and no longer runny. Season with garlic powder, S & P, and parmesan cheese (about 1/2 cup). Put grits into a baking sheet that’s been sprayed with cooking spray. Bake at 400 for about 20 – 25 minutes, until lightly browned on top. 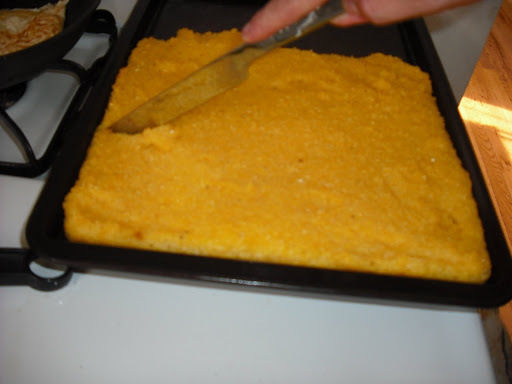 Once the grits are out, cut into squares. A fried egg, more parmesan, and fresh herbs.